This engrossing adventure offers modern phrasing while maintaining the spirit of earlier translations of Beowulf. Beowulf is one of the classics of the Western literary canon, still studied in high school and college classrooms. 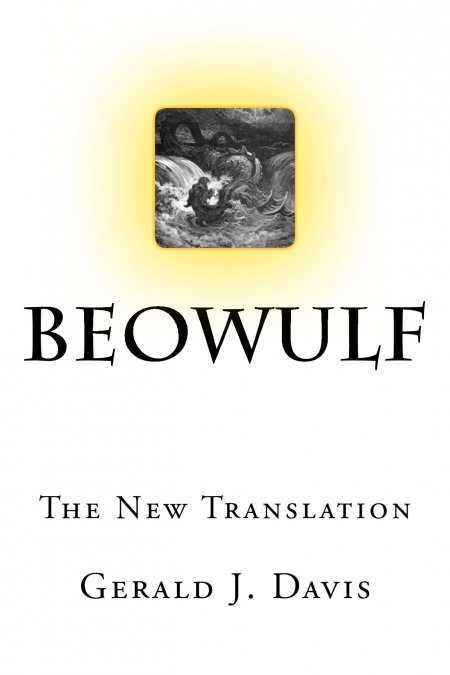 The original manuscript, written in Old English, has been translated by many scholars, and Gerald J. Davis offers his own excellent effort with Beowulf: The New Translation, which offers modern phrasing while still keeping intact the spirit of earlier versions. Davis has written many books of fiction, but his most notable previous credit is Don Quixote: The New Translation, a finalist for *ForeWord’*s 2012 Book of the Year award. Turning his attention to Beowulf, Davis bases his interpretation on two previous translations, those of John Mitchell Kemble and John Lesslie Hall. Since those books were published in 1837 and 1892, respectively—with Kemble’s a prose version and Hall’s in verse—it’s safe to say that Davis brings much of his own insights to Beowulf: The New Translation. It’s a powerful moment, perhaps made more poignant by allowing the reader to forget, for a moment, that this is a translation of an ancient tale and not the voice of a contemporary storyteller. Davis includes a brief foreword, quoting some of J. R. R. Tolkien’s famous praise of Beowulf (there are great similarities of style between Tolkien’s work and the epic poem). It would have been interesting to read Davis’s opinion on other, more recent translations, like Seamus Heaney’s 2001 Beowulf: A New Verse Translation; like Heaney, Davis makes the reading easier on modern eyes and ears (they both use “Shield Sheafson” for the name of the Danish king instead of “Scyld Scefing,” as it’s written in many earlier translations, for example). Davis chooses to avoid footnotes, and it’s a wise decision—it’s easier to become engrossed in the story without them. As a result, he’s shaped the text into a rousing adventure that could easily find a place on the Fantasy shelf at the local bookstore. Readers who’ve sampled other interpretations of Beowulf will be pleased to explore Davis’s take on the tale. But truly to be envied are those for whom Beowulf: The New Translation will be an introduction to the world of heroes and honor, monsters and evil. Davis has created a version that helps us to imagine sitting around a campfire, a thousand years ago, listening to a great story.